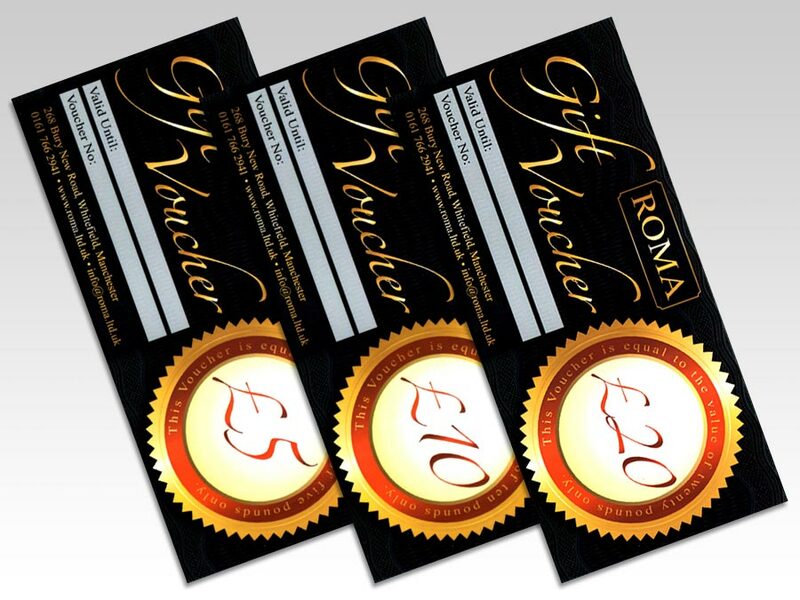 Roma Gift Vouchers are available in £5, £10 and £20 denominations from stock but larger amounts are available upon request. These vouchers can be used in either the Caffè or Shop. Just remember to tell the voucher holder to inform one of our staff, prior to payment.